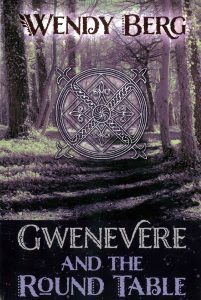 This book by Wendy Berg addresses a conspicuously little known figure from Arthurian legend, presenting Queen Gwenevere, not as a mere adjunct to more familiar figures, but effectively as a central character around which many of the events revolve. In so doing, she becomes an initiatrix and guide in a series of workings that the reader can undertake. At the outset, Berg addresses what can be described as the problem of Gwenevere, in that despite her fame, there is little extant information about her. This absence of evidence effectively plays into Berg’s core idea: that the reason Gwenevere is mysterious is because she ultimately embodies a mystery. 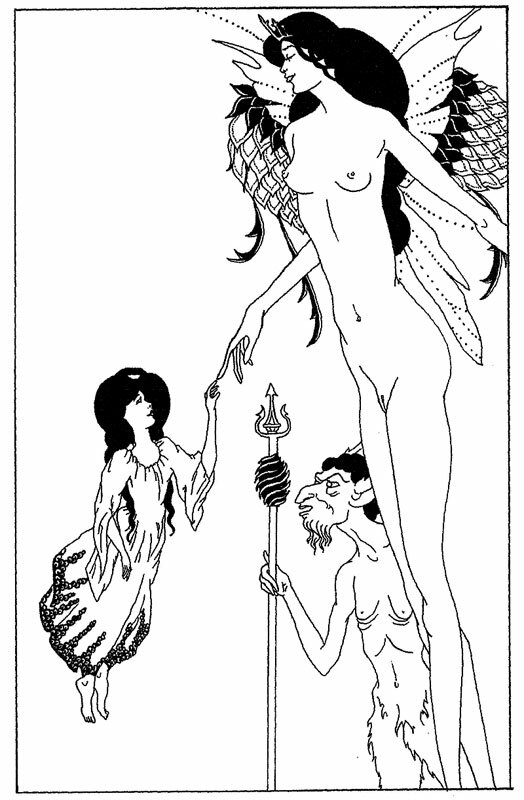 Berg argues that Gwenevere’s minimal but unique roles point to her being, not a human, but a faery, for whom the marriage to Arthur is one of interaction between two realms, re-enacting the rituals of sacred kingship. Her subsequent appearances in legends, in which she is often abducted or goes into exile, fit this role too, with the idea being that in these instances she once again provides an interaction between the faery and human worlds. This is an idea Berg has explored before in her theory-based book Red Tree, White Tree, but here there is more of a focus on practical application, and on the Round Table, which Berg notes has frequent associations with Gwenevere. It is the dowry she brings from Lyonesse, and its return is demanded by a mysterious knight following her death. For Berg, the table is a symbol of the relationship between the worlds of human and fae, and a template for both the order formed around it, and a mystery school attendant to this order. 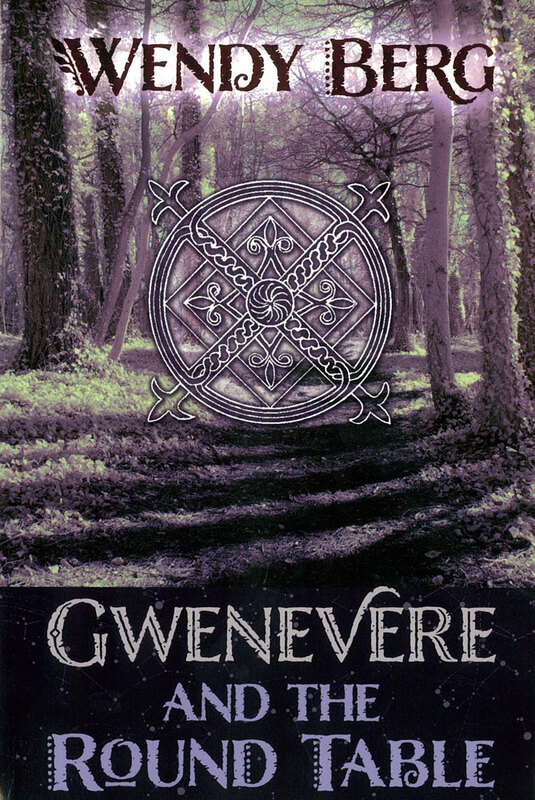 As a faery queen, and the realm’s ambassador, Gwenevere was the prime interpreter of the table’s wisdom, and initiator of the knights into its mysteries. Berg’s discussion of her Gwenevere theory takes up but one chapter of the book and the rest is an exploration of a magickal system largely based around the division into four faery kingdoms, at the centre of which is a fifth realm, Listenois, the Grail Kingdom. These kingdoms, some more familiar than others, are Lyonesse in the east, Sorelois is in the south, Gorre in the west, and Oriande in the north. Each realm is attributed different characteristics, and progressed through one at a time, each imparting a new lesson. Berg’s system is low on ritual or artifice and is instead composed almost entirely of guided pathworkings. These use an initial journey to the table as a device through which the other realms can be explored, effectively providing a hub world that the player seeker logs into, receives missions from Gwenevere, before departing to the other worlds and ultimately returning to the hub. In addition to these general exploration of the faery kingdoms, Berg presents a couple of other techniques, integrated with these journeys but unique enough to stand out on their own. The first is a meditation on colour as a way of connecting with the faery, in which the participant is taught to appreciate a range of colours and to ‘see’ them through faery eyes. The second is a fairly successful system of astral magic where the constellations are used as an empowered guide to Arthurian cosmology. 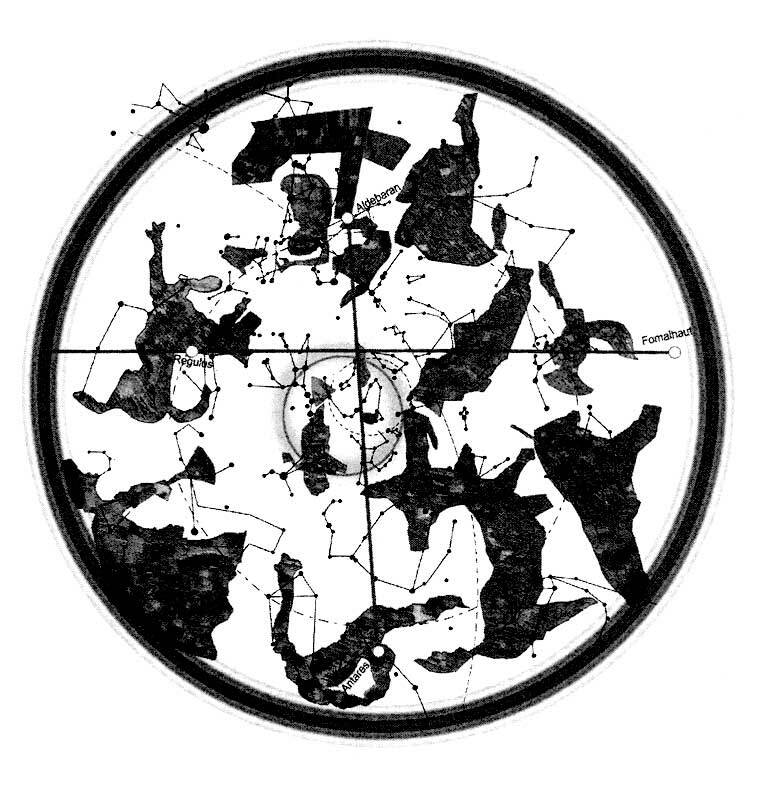 These constellations provide another take on the idea of the Round Table, a wheel of stellar arrays circling the night sky and representing various scenes or characters from Arthurian legend. In concert with this is the creation of a Book of Stars, documenting the journey through the constellations. 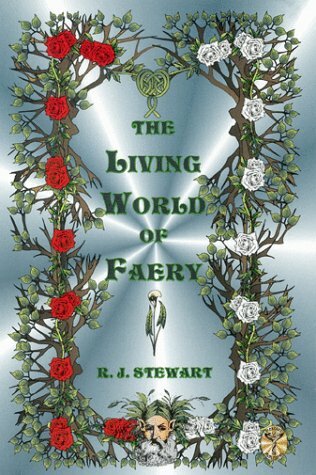 When it comes to a magickal system connected with faery and heavily dependent on guided pathworkings, it is inevitable for one’s mind to drift to the work of RJ Stewart. 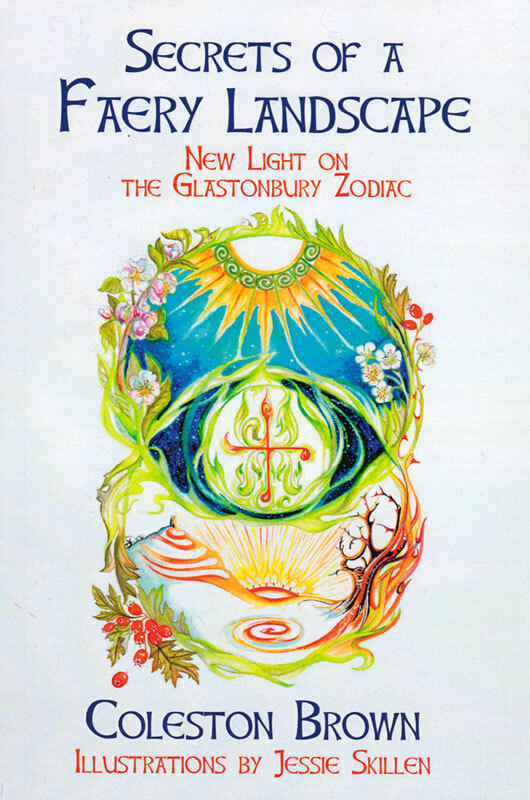 There is an element of this here, but there are some other noticeable styles that one could uncharitably call new age. There’s a lot of talk of consciousness and vibrations, and while there’s nothing wrong with those concepts, the nomenclature has an undeniable whiff of crystal shops and reiki readings. Another element that occurs periodically, and somewhat expectedly given the associations with grail mysticism, is a faery interpretation, shall we say, of Christianity, with a pathworking featuring a vision of the White Christ. 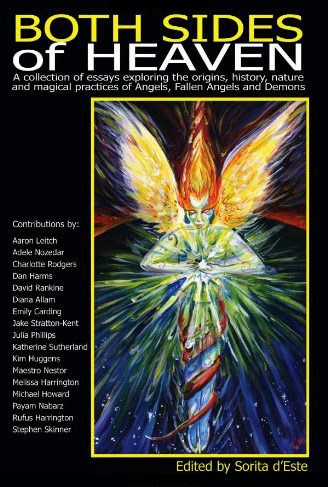 This connects with another obvious touchstone, the writer Gareth Knight, with Berg often using his terminology and referring to an Atlantean Tradition that underlies both the faery and grail mysteries here. As a largely mystical workbook, there’s not a huge amount of academic discussion here, with often only cursory consideration of Arthurian sources or any discursive analysis. And while this is to be expected given the format, it does lead to jarring moments that cause one to pause and wish a more thorough approach had been taken to make for a more convincing argument. Berg often draws from diverse Arthurian sources to build her core concept, but nowhere does she mention the question, let alone suggest an answer, as to how these disparate authors, divided by both time and geography, could have glommed onto some secret truth about Gwenevere and the fae. These sources are not some holy writ that has, at the very least, a pretence of originating from a singular culture or belief system. Instead, they are the works of a diverse group of authors who, one would pragmatically argue, were only interested in telling stories. One could argue otherwise and handwave with hints at some mystical link that Arthurian writers have that taps into mysterious realms of the fae, or something, but because this isn’t done, quibbles like this are more glaring than they need to be. Similarly, throughout the book there’s an almost disingenuous presentation of information where the lack of thoroughness effectively becomes lying by omission. In discussing what she describes as the faery kingdom of Oriande, and its ruler Madaglan and his sister Jandree, Berg fails to mention that the two could just as easily be seen as Saracens, given that in the chansons de geste the word Oriandes, so redolent of ‘Orient,’ refers to Saracen women, while Oriande is the name of a Saracen town. This is even more likely given that Madaglan and Jandree are shown as being theologically at odds with Arthur and his court, rejecting his New Law in favour of their Old Law, for which Islam is surely intended. This doesn’t invalidate Berg’s argument, indeed, one could argue that the status of Muslims as the penultimate symbol of The Other in courtly literature made them an effective gloss for the equally Other(worldly) faery. But because such a caveat is not made, and given that the source for the idea of Oriande as a kingdom, faery or not, is just one text, the Perlesvaus, one finds oneself becoming something of a cynical reader (well, moreso, right kids?). It is this kind of thing that means when Berg relays the story of another adversarial knight, Meleagant, son of the King of Gorre, you find yourself running off to fact check against a copy of Lancelot, le Chevalier de la Charrette. Berg has Meleagant refer to a group of nobles he has held hostage as “human prisoners,” thereby highlighting a stark racial distinction between the apparently faery knight and his captives. But Chrétien de Troyes uses no such term, simply referring to them as “knights, ladies, and damsels who belong to thy dominion and household.” While there is a case to be made for Meleagant being more than just a human adversary, given the distinctly otherworldly characteristics of the kingdom of Gorre, it seems deceitful to present this, not as an interpretation, but as something detailed verbatim in Chrétien’s story. This, unfortunately, is a pretty common technique here: mention the source, relay the story as if you’re telling it as it appears in said source, sprinkle liberally with usage of the word ‘faery’ not in said source. 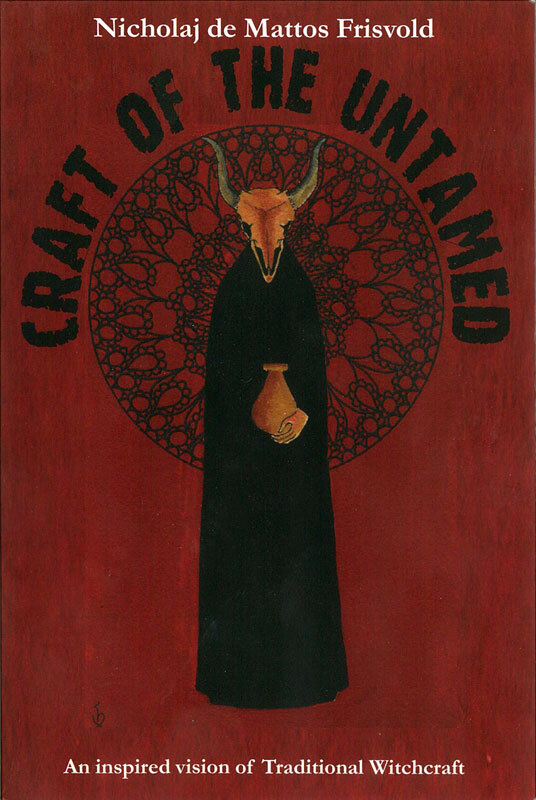 This is the third part of Laurence Gardner’s holy bloodline trilogy following on from his Bloodline of the Holy Grail and Genesis of the Grail Kings, in which he picked up the torch left by Baigent, Lincoln, and Leigh’s The Holy Blood and the Holy Grail, and ran with it. 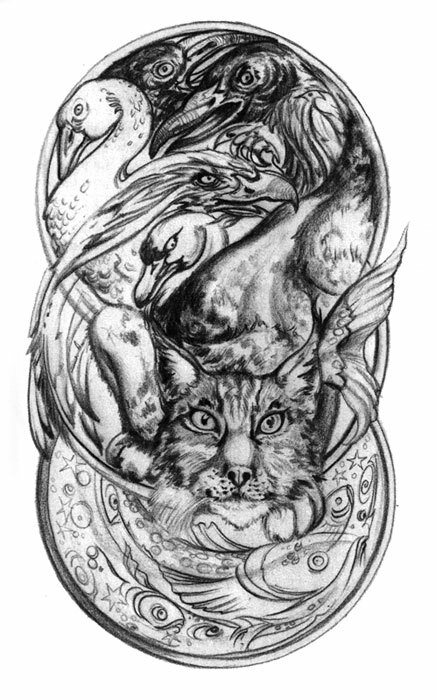 For this instalment, Gardner turns largely to Western European folklore and legend to see how his supposition of an ancient bloodline stretching back to Mesopotamia was carried through by those in the know. 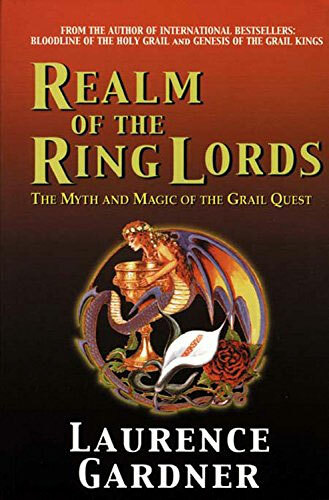 As the title and inside cover suggests, this third volume seems to be an attempt to cash in on the popularity of the Lord of the Rings by emphasising the apparent link between this royal bloodline and the symbol of the ring; going so far as to clumsily call the members of the bloodline Ring Lords though out the book. This attempt at tapping into what was at the time a red hot Tolkien mania obviously dates this book to the start of the millennium, as Gardner’s more recent book titles and cover art now ape the works of Dan Brown in a rather self-consuming Ouroboros-like circle of meta mania; just as his first two book covers were evocative of Baigent, Lincoln, and Leigh. As it is, the making of mileage out of Tolkien is quickly abandoned early on, following a brief summary of his work, the equivalent of a listing in, let’s date this, the Encarta multimedia encyclopaedia. Despite the book’s claim to reveal the mythological underpinnings of Tolkien’s oeuvre and the One Ring in particular (a rich field, as the Tolkien legendarium section of the Scriptus Recensera library attests), this does not occur and Gardner swiftly moves on to more familiar areas of legend and folklore, never really touching on Tolkien again. That is indicative of the problems with this book, you can see the seams. Because he has written two books on his main argument of an ancient royal bloodline that stretches back to antiquity (and stretches credulity with its continuity), Gardner does not feel the need to reargue it here; and if the previous two books didn’t necessarily convince you, this doesn’t help. As a result, everything after the first chapter is interesting only in and of itself, but does nothing to convince you of his main argument. So why is this book of interest? In much the same way that Gardner’s theory rather grandly over-reaches itself with a vision from the dawn of time to the present, this book tends to look at practically everything from legend and folk lore and sees it as relating to these Royal Ring Lords who had nothing better to do than breed down through history, perpetuating their diluted bloodline. In this broad consideration, we find werewolves, Arthurian legend, elves, witches, Robin Hood, vampires, Santa Claus, Lorna Doone, and more, all somehow tied back to the Annunaki of Mesopotamia. You won’t get the most detailed and comprehensive consideration of these topics but with Gardner’s broad brush strokes there is enough considered to fire your own connections and make you want to look deeper elsewhere. This broadness is the major flaw in Gardner’s whole argument, as he seems to have little regard for how indigenous belief and folklore operates, instead proposing a blanket lux orientalis, in which every single thing anyone ever imagined was somehow a reference to some ancient land no one had ever heard of, let alone been to. Like any theory which seeks to totally explain myth or legend, it ends up doing those forms a disservice. But putting aside the conclusions he reaches and considering the information he presents, the data itself is valid, especially because much of it can be related to indigenous systems of belief. The book is thoroughly footnoted and referenced, and written in such a way as to convey a sense of scholarship. The real sense though is one of belief, and an immersion in a theory that has resulted in a little too many trees being seen instead of the forest. Nice colour plates though. Published by Multi MediaQuest International Ltd, England.